Mobile C2C marketplace focuses on AI-techniques to create new experiences for users. 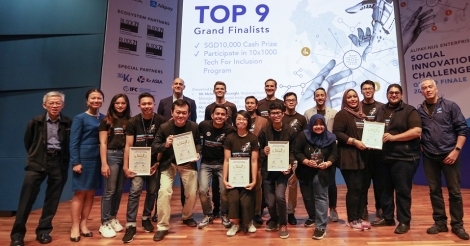 Six Indonesian startups were part of the Google Launchpad Accelerator batch 3 in February 2017. Hooq recently rolled out its new mobile app for both Android and iOS platforms in Jakarta, Indonesia. Indonesia'sTraveloka has begun to venture into other South-East Asian (SEA) countries this year with the opening of regional offices in Malaysia, Thailand, Singapore, the Philippines and Vietnam. As Indonesia's largest online beauty community platform Female Daily Network (FDN) realised very quickly that it needed to focus on building its mobile customer base in order to maintain its position at the top. Indonesia’s Internet economy will be worth about US$81 billion in 10 years, or about 40% of the total Internet economy of the entire South-East Asian region, according to a Google-Temasek report. Go mobile or go bust? IBM’s David Lee Heyman has five guiding principles for a robust and sustainable mobile strategy. Google recently held Google for Indonesia, an event meant to showcase its commitment to helping the country and its people develop, and that it wasn’t seen as merely trying to tap into a market of 250 million people. Investment management firm PT Aberdeen Asset Management is going the electronic trading (e-trading) path with support from PT Phillips Securities Indonesia, a member of the Hong Kong-based PhillipsGroup. E-commerce may be going through the doldrums, but South-East Asian SMEs can still use e-commerce as a lever to level up, says an eBay executive.